You can now earn free gems in the game by completing 3rd party offers. To find offers, navigate to the right until you see "Free Gems!" Select "Free Gems!" and after a few moments, the offer wall should populate with offers available to you. If for any reason you are having difficulties locating the Offer Wall, or it is not launching correctly, please contact our team. WHAT ARE 2X OFFER WALL EVENTS? On occasion, we hold special events that reward double the gems earned through Offer Wall completions. To be eligible for the bonus, you must start your offer during the promotional period but may complete it at any time. The total Gems displayed on an offer during the promotional period will include the double promotion. I ATTEMPTED TO DO AN OFFER, BUT DIDN'T RECEIVE MY GEMS! You must navigate to the offer from within Battlehand Heroes. Doing so externally will not result in a credit, even if all requirements are met. If you have attempted the same offer before, whether it be within Battlehand Heroes or another game/app/website, it will not credit a second time. If you believe you have met all requirements for an offer, but it has still not awarded you any gems, please give it at least 24 hours for the reward to show up. IT'S BEEN MORE THAN 24 HOURS AND MY OFFERS SAY "PENDING"/"REJECTED"! Offers are credited based on approval by the 3rd party provider. While an offer is in the "Pending" phase, it may or may not be approved based on whether the provider indicates all requirements have been met. As an example, if an offer is a 30-day trial, it may not credit for several days, or at all if it's canceled instantly. or within the app by scrolling down the page to the "Missing Gems" link. 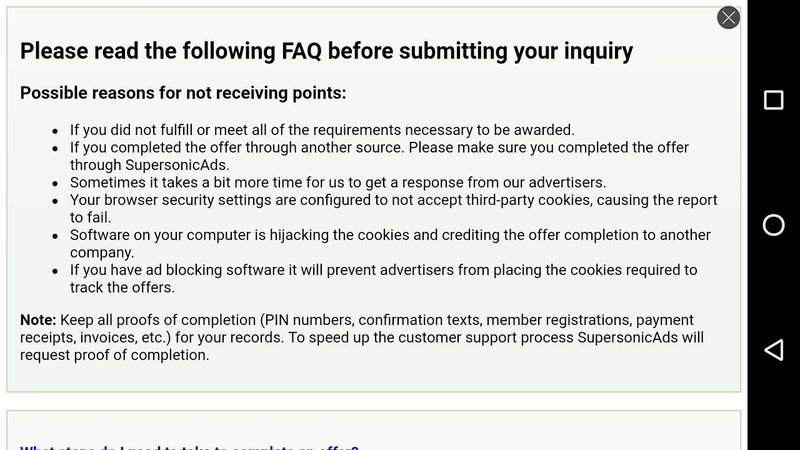 They will expect proof of offer completion in the form of screenshots. 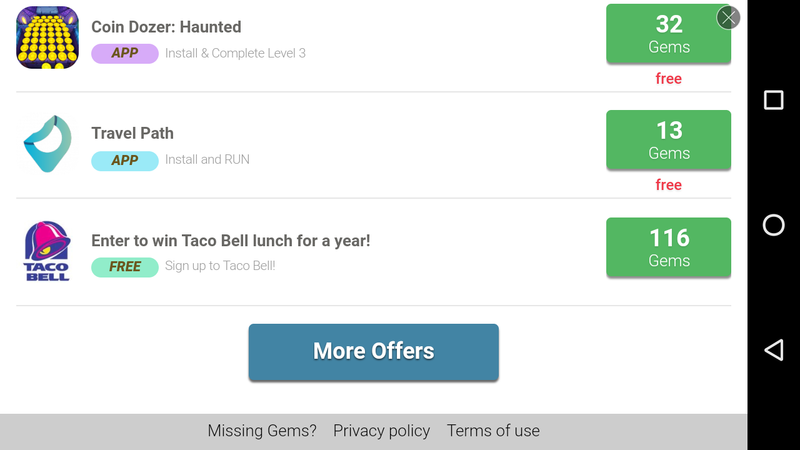 To access the ad provider's FAQ, click on the Missing Gems link at the bottom of the Wall and choose an unrewarded offer via the "Missing Gems?" option. Name of the offer, and any relevant screenshots. MY OFFER SAYS "COMPLETED" BUT I DID NOT GET MY GEMS! I AM EXPERIENCING CRASHES OR OTHER TECHNICAL ISSUES! A brief description of the problem, and steps you've already taken. I CONTACTED IRON SOURCE (SS), BUT HAVE YET TO HEAR BACK OR HAVE NOT BEEN AWARDED PROPERLY! All tickets received are being looked into and answered in the order they are received. We ask you to be patient with us. If you feel you were rejected unjustly you can contact us via the link below.